Keen for a cruise without the hassle of international flights, or with just one flight home? There are still a few last-minute deals available over Easter, but things get even more interesting once all the chocolate eggs have been eaten! Board at Southampton for easy access to sea and sunshine. Cruise lines such as P&O, Royal Caribbean, Norwegian, Princess and Cunard are still advertising availability for spring and summer 2019. Spain & Portugal – 10 nights departing 15 May. This is the maiden Europe voyage of the Celebrity Edge! In case you haven’t heard yet, Royal Caribbean has a buy-1-get-1-half-price offer that’s valid for selected sailings, on bookings placed before 6 May 2019. 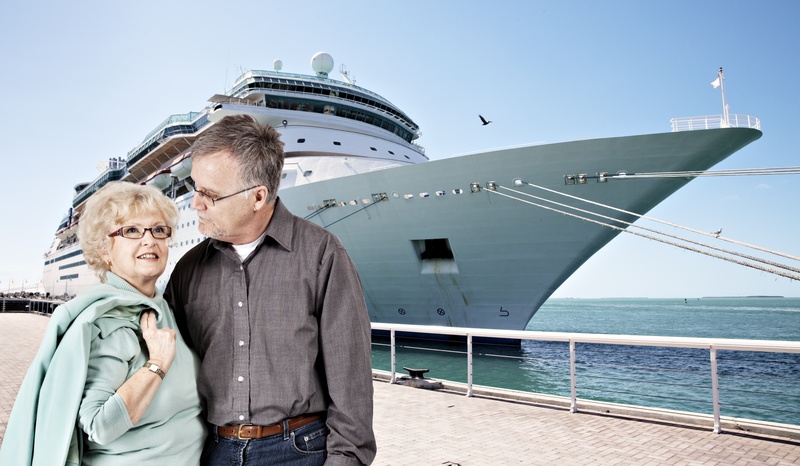 If you do book a last-minute cruise, don’t let the important details fall through the cracks – make sure the full itinerary and inclusions are clear, know what other expenses will be involved, and make sure your cruise insurance covers all ports of call and activities. Experience the Arctic Summer Solstice this June with Norwegian cruises, departing Southampton on 14 June. You would also get the chance to try their new ‘Free At Sea’ package, which replaces its previous premium all-inclusive package and includes options like specialty dining, shore excursion credits, Wi-Fi packages, and premium spirits. Ever wanted to spend a longer time on board? Transatlantic and repositioning cruises sail from Southampton too! Extend your summer when ships cross over to other continents for their new seasons, and you enjoy days or weeks at sea. With all the entertainment on board these days, you’re unlikely to get bored. The Queen Mary 2 sets sail for New York on 31 May. You could spend 7 nights at sea and then fly back home from New York, or join the 1 December round trip for 14 nights, with one day in Manhattan. There’s a Transatlantic cruise on Explorer of the Seas departing in November that includes a week at sea, and then a few gorgeous island ports of call – St Lucia, Barbados, Dominica and Antigua – before arriving in Miami. Cruise Critic features dozens more Transatlantic options via Malta, the Caribbean, or even Scandinavia which are very tempting. We had a look at Iglu and Dealchecker for repositioning cruises that you can board in Southampton. Try 31 nights via Spain, Italy and the Middle East with Princess Cruises, or how about 21 nights from Southampton to Cape Town with Cunard? You could also sail via Iceland and Canada to New York – that’s 24 nights with MSC, departing in September. 22 nights will take you to Havana on Fred Olsen, but that seems to be sold out for 2019. 2020 and 2021 cruises are available though. There are so many exciting options... If you do book a spring or summer cruise, we’d love to hear about it! Remember, you can save 20% on your cruise insurance ( including any medical premium) every time by buying online!